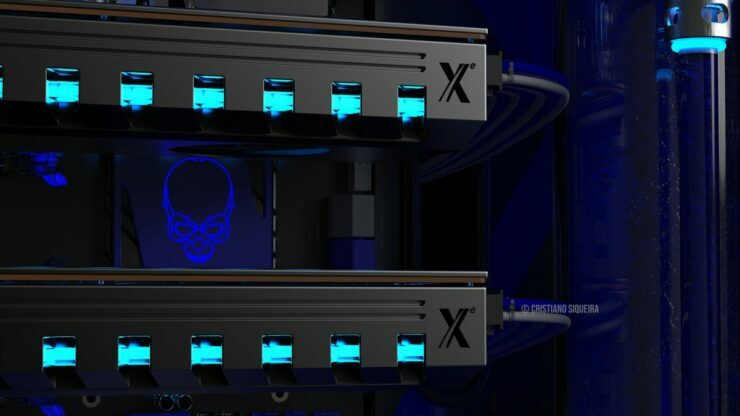 It hasn’t been more than a few hours since Intel revealed the details about its upcoming Gen11 architecture and the first benchmark has already leaked out courtesy of TUMAPISAK. Intel’s Gen 11 GPU will mark the first time an integrated GPU hits the 1 TFLOPs mark (to put this into perspective, the Xbox One was originally designed to have 1.3 TFLOPs of power). Keep in mind that the benchmarks you are about to see are 1) almost certainly that of an engineering sample 2) will have early drivers and 3) represent a processor in low power conditions (this is a mobility chip). That said, the performance is pretty much spot on of what I would expect from a Gen 11 GPU. Intel’s Gen 11 iGPU showcases performance comparable to an NVIDIA MX130. 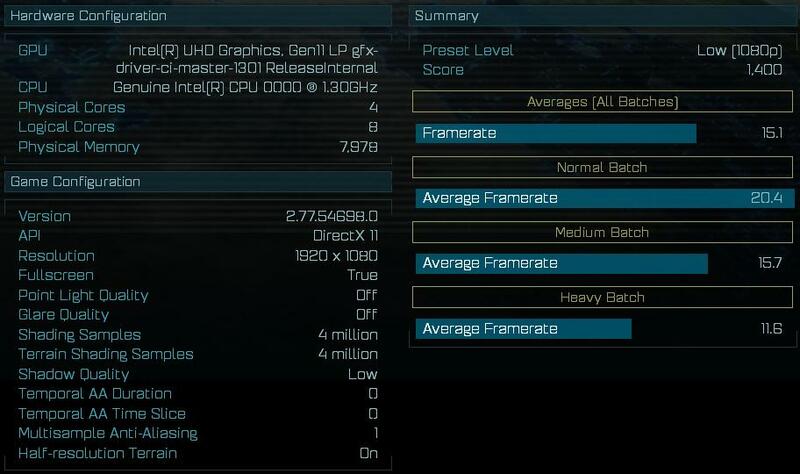 The Intel Gen 11 GPU ES sample scores 20.4 fps on average in the low 1080p setting. An Intel UHD 620 achieves roughly 10 fps while an MX110 and MX130 achieve 17.7 and 20.1 respectively. In other words, the Intel Gen 11 iGPU makes the MX110 and MX130 redundant. This is great news for PC builders that do not have the budget to upgrade at the time of the build but still want to get in some casual gaming (think MOBAs) and of course, the entire mobility scene. This Gen11 GPU will be perfect for the ultrabook scene as right now a lot of the OEMs have to put in separate cooling solutions for an MX110 or MX130 (the MX series is the brand of choice for ultrabooks) which adds complexity to the design and more points of failure. With an integrated GPU capable of achieving the same level of performance, OEMs will be able to cut costs and offer the same performance for lower price levels – so the gamer wins here. The MX150 still remains comfortably ahead of the Gen11 GPU however, at 28.9 fps and what you would consider the minimum acceptable level of performance for the low 1080p bench. That said, since this is the LP version with what is almost certainly early drivers, it is possible that Intel is able to pull the fine-wine rabbit out of the hat on this and put a full powered variant within spitting distance of the MX150 in scenarios where power isn’t necessarily limited. Would you consider going with an Intel Gen 11 ultrabook? No, I want a lot more gaming power. Maybe - if it can match the MX150.